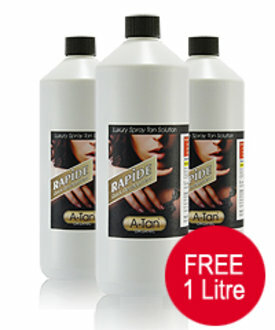 A great offer for A-Tan Rapide, buy 2 bottles and get a third bottle FREE!!! That's almost £300 extra free business if you charge £15 a spray tan and 20 clients. Price includes delivery (Mainland UK).